The temperature is well below freezing now, and the first big storm is coming up from the south, but we are better prepared than last year. The house is warm, the big van has studded snow tires, and we have food in the cupboard and gas in the emergency electrical generator. 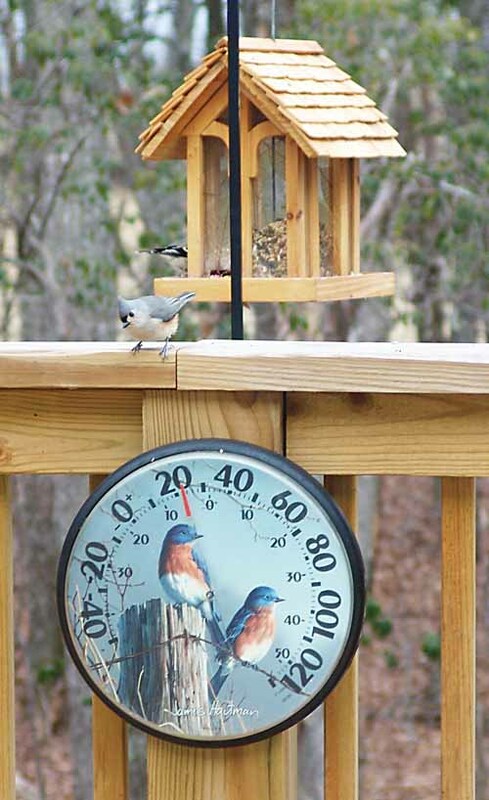 The birds are busily scarfing up seeds and suet from the bird feeders on the back deck, while the Tufted Titmouse on the rail checks the thermometer. Max Lander and Josh Cluxton, two neighborhood boys who are on the Floyd County High School wrestling team, showed up with chainsaws and sawed up one of my log piles. 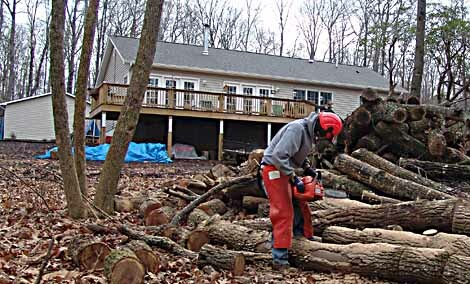 Then they stacked a cord of fireplace length logs under my back deck next to my log splitter. They prepared enough wood to keep me busy for several weeks. We are heating our 1650 square foot modular home with one Dutchwest woodstove which I have described elsewhere and the entire house stays comfortably warm in 20 degree weather. Two small electric heaters are used occasionally to keep the bathrooms toasty warm during showers, etc. 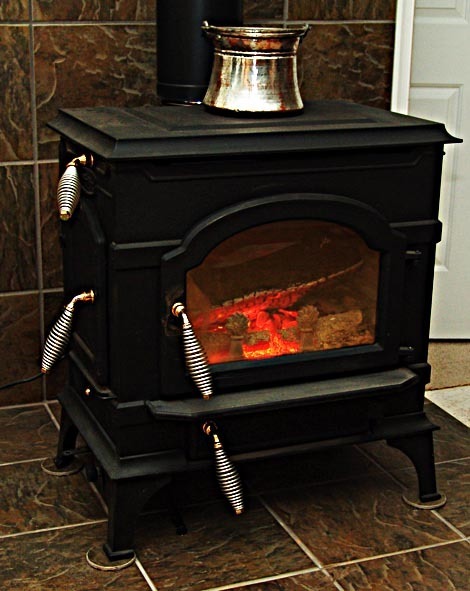 The stove needs tending about every hour or so to maintain top heat, but can be banked to burn slowly for up to six hours without going out. All in all, we have a comfortably low gear country life with a fast Internet connection. What more could we ask? We work at home for the most part and can visit our clients with a fifteen minute drive over quiet country roads. Hope you are warm and dry and also have the opportunity to work at home. If you would like help with your marketing campaigns or would like to advertise on this site, please send me an email. Sounds like you’ve got a cozy life.